Ready for day three? Today we'll continue working on a beautiful upper body. Remember your warm up! 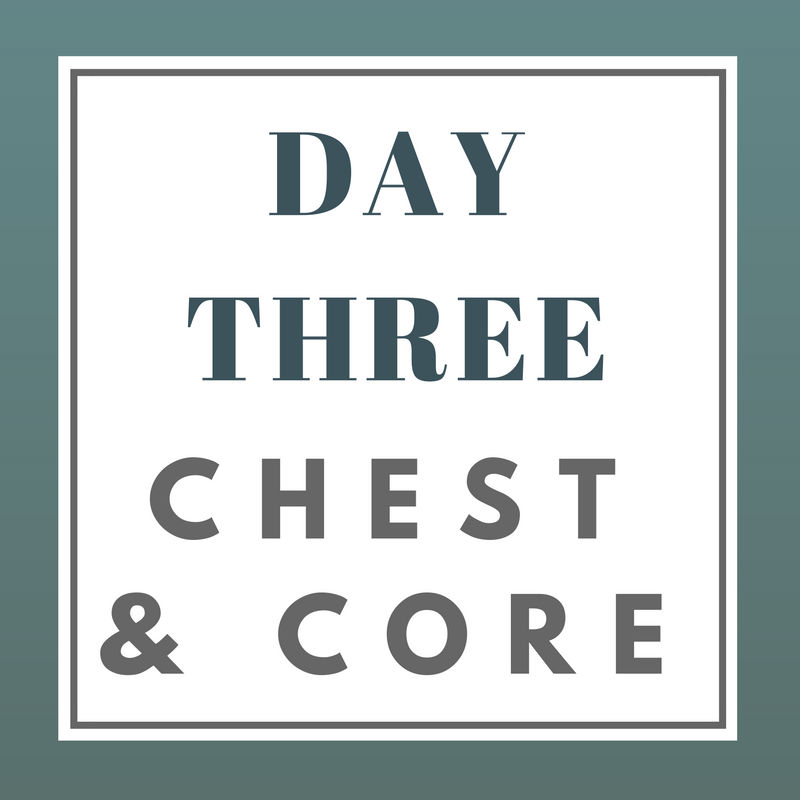 This CHEST & CORE workout will take about 55 minutes to complete and will follow a similar format as our previous workouts. If your abs are starting by rep 10, you're probably doing them right! Remember to stretch and give your muscles fuel!